President Trump gave his first State of the Union address to Congress this week, during which he shared his vision for America’s future immigration policy—and it’s bleak. The address echoed much of the White House’s restrictive immigration framework released last week, which envisions a path to citizenship for the 1.8 million immigrants eligible for the Deferred Action for Childhood Arrivals (DACA) initiative, but only in exchange for a massive border package, drastic cuts to family immigration, and complete elimination of the diversity visa. Like his framework, the president’s speech called for massive cuts to long-standing family reunification programs (what he maliciously labels “chain migration”). The President erroneously noted that “a single immigrant can bring in virtually unlimited numbers of distant relatives.” However, under current immigration laws U.S. citizens and permanent residents can only sponsor their immediate relatives which include spouses, children, siblings, and parents. He also seeks to eliminate the diversity visa program, a program created to ensure immigrants from underrepresented countries had an opportunity to pursue their American dream. All told, the president’s proposals could create a 44 percent cut in legal immigration, according to the Cato Institute. The idea that we should eliminate diversity in our immigration policies and that adult children, siblings, and parents are “distant relatives” and should be cut out of eligibility for sponsorship is arbitrarily cruel. It also ignores the many contributions family-based immigrants and diversity visa winners make to the United States. The president ended his speech with a cruel attempt to demonize a large group of immigrants by painting them as gang members and criminals—the facts, however, are not on his side. The evidence has been clear for more than a century that high rates of immigration are associated with lower crime rates. 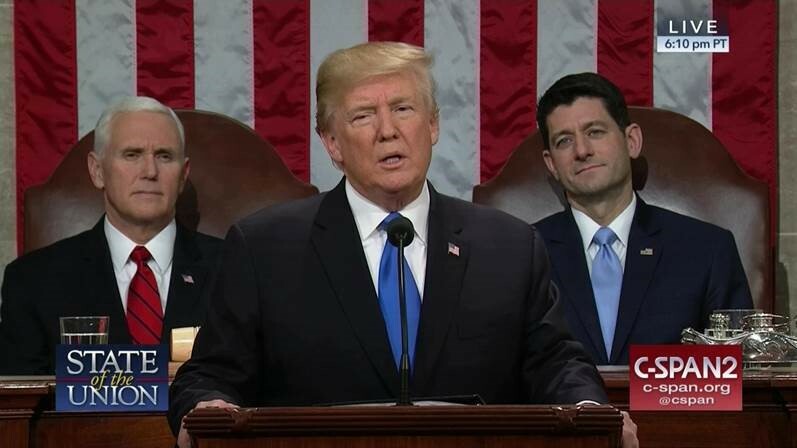 This president’s speech and his framework for reform have largely been rejected by Democrats and Republicans alike, with both sides wary of such significant cuts to legal immigration. Members in both chambers of Congress have instead begun to push for a more narrow approach that pairs the Dream Act with smart border security measures. The president’s speech makes it clear: his restrictive and dark vision for the future of immigration policy is not one that Americans should take lightly.